Last Friday I got a great surprise in the weekly school newsletter. I was voted positive teacher of the week by the staff and students. Besides making me feel welcome at a new school, it really reminded me how great it is when someone recognizes you in a positive way. 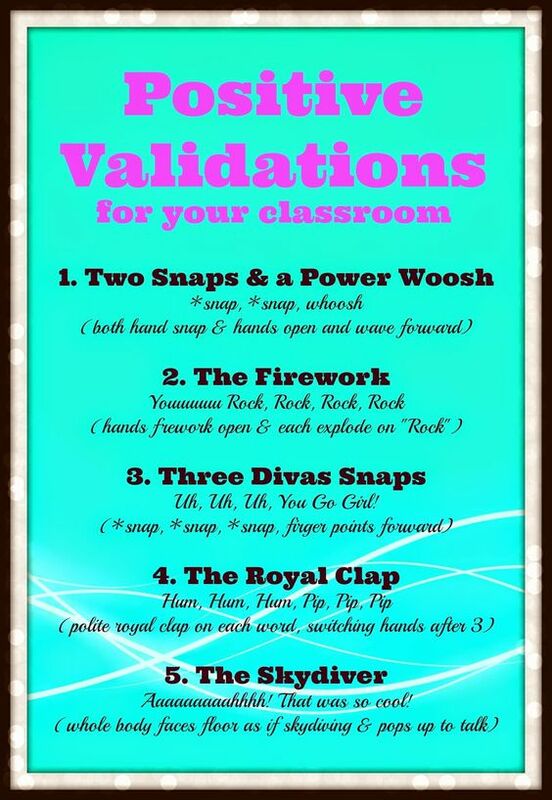 I decided to try to add more positive reinforcement in our classroom routines. I was looking for a new positive reinforcement when I cam across a post from a while ago, Martina Bex's Chiles. Martina also just posted some great ideas for using positive tickets to purchase positive phone calls home or time sitting a comfy chair. Here is how the positive tickets work in my class. I printed the tickets on a different color for each level. 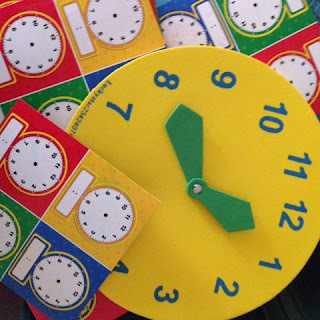 (I have seen other teachers use carnival tickets or other tokens). I explained that tickets can be earned for: being on task, replying in full sentences, volunteering, going the extra mile, etc. Once they get one, they must write their name, class and date on it. Tickets can be either be saved & collected for future (to be determined) prizes OR put in the drawing of the week. Tickets earned this week can be put in the basket for a drawing Friday to sit in one of our comfy chairs for the entire following (homecoming) week. I would love more ideas of positive experiences (not things) that tickets can be used for. 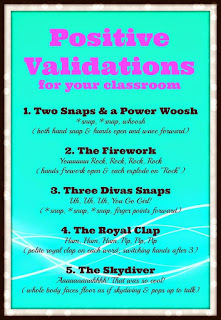 One of my early blog posts detailed how I use positive validations in the classroom. Everyone loves getting "2 snaps and a power whoosh" after volunteering to lead the VIERNES chant or being the special person. Students also love creating new ones in Spanish! 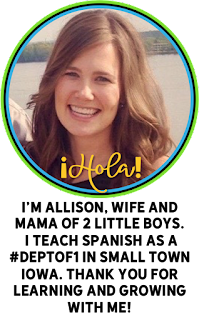 I loved Cythnia Hitz post about her strategy using Donkey jote to keep students in the target language, so I decided to try it out myself. I inherited a mini stuffed penguin in my classroom and he became our animal of choice. El Pingüino does not like to hear English, so he moves to sit on the table of someone speaking English. Since penguins can not fly, he must be picked up and moved if someone else speaks English. The goal is to stay in Spanish. 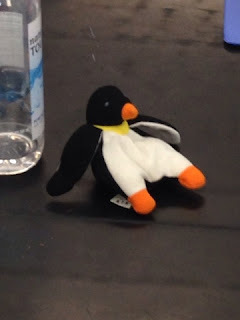 If the penguin is on your desk at the end of class, you get to show the teacher that you CAN speak Spanish either at the end of class, or at the end of the day. I try to keep El Pingüino positive as just a friendly reminder. It is nice that the students police themselves and pay attention to their use of the target language. Teacher - "Jake, how old are you?" Student - "I am 16." Teacher -"Class, how old is Jake?" Class - "Jake is 16." Since in Spanish you have age, this verb can then be used to learn all about the person. In the future I would like to do a little quiz where students describe their classmates. I love how much we have all learned about each other in Spanish, and how it really does positively recognize one particular student at a time. What are some of your positive classroom routines? 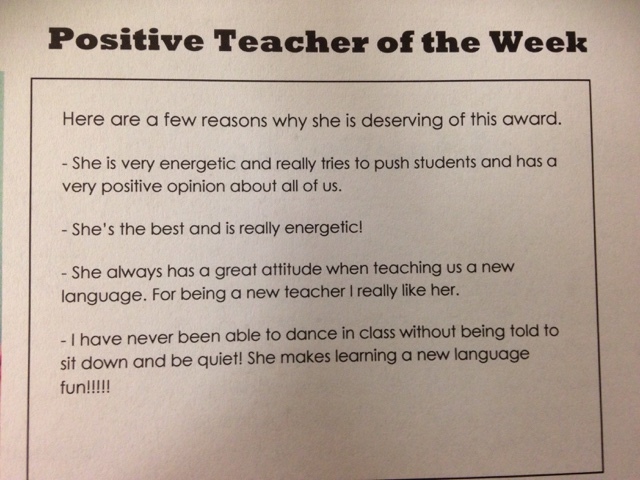 Here is what my students said about me that made my day! 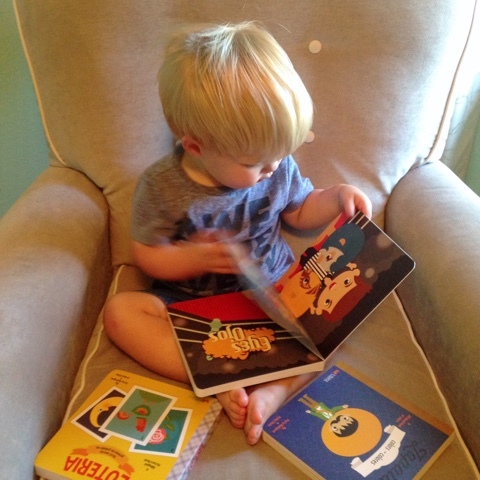 Sometime this summer I first saw the adorable Lil' Libros board books and knew I had to have them for my little guy. As I have mentioned before I am working hard to try and raise my son bilingual. As a non native speaker, with a husband who took just two years of Spanish in high school, I know I am fighting an uphill battle. I try to do everything possible to surround him with as much Spanish as possible, and this means building a Spanish library at home. I use many of the same tips I have shared getting books in Spanish for home. The issue is many books in Spanish in my area are just translations of popular books in English, devoid of any culture. What I love most about the Lil' Libros books is how culture is the center of book, not just an after thought. 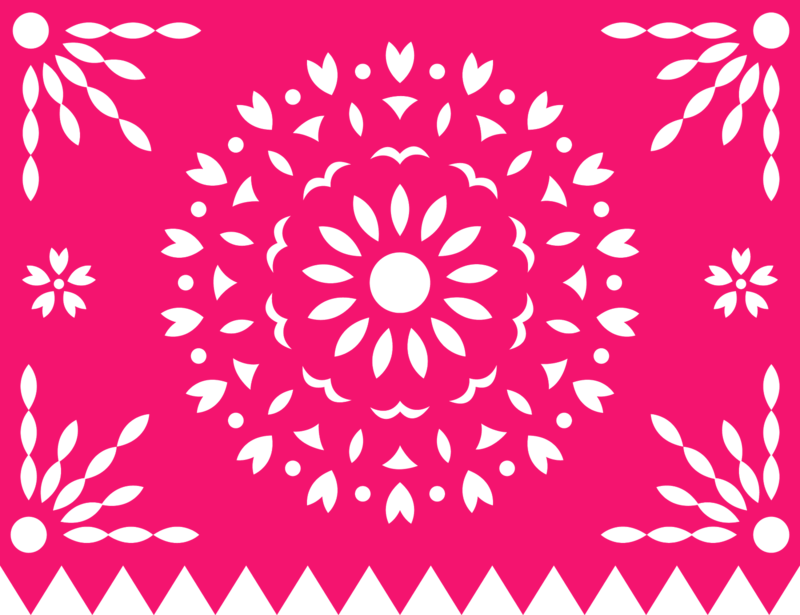 From Frida, to Guadalupe and La Llorona, culture is the heart of the beautiful books. 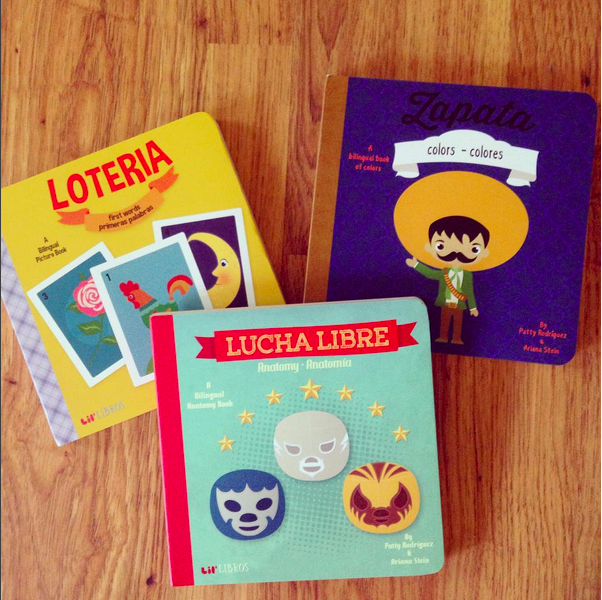 Each title centers on a beginning reading concept: Lotería focuses on first words, Zapata on colors, Lucha Libre on body parts and more. When I first saw the beautiful covers online, I had hoped that these books would have a story line and could be a part of my Spanish classroom library. While I feel they could work in an elementary setting, I think the board book aspect would really make older kids feel babyish using them. Also, the focus on basic concepts, while perfect for tiny readers, may be too simplistic for older learners. I hope that someday, they will make more expanded storybook versions with these deep cultural story lines. Overall, the books above are now a part of the regular story time rotation at home with my smallest Spanish student. He loves the bright colors (especially in his favorite, Zapata) and the toughness stands up to his rough toddler handling. Thank you Lil' Libros and I would highly recommend them for a little Spanish learner in your life! On a side note, I feel like my hard work is finally paying off with the little guy since when he is thirsty, he now screams AGUA, AGUA! Disclosure: The company sent me the books above. All of the ideas and opinions are my own. We did our first ever story in Spanish 1 and it was awesome. I was nervous trying a story for the first time with a new group, but once again Martina Bex's detailed plans helped lay a solid foundation. After our week 1 focusing on procedures, proficiency and positive people, week 2 we did a variation to Martina's Dice (says) unit. It was very helpful to actually go through the expectations for story asking in advance, so that everyone was on the same page. 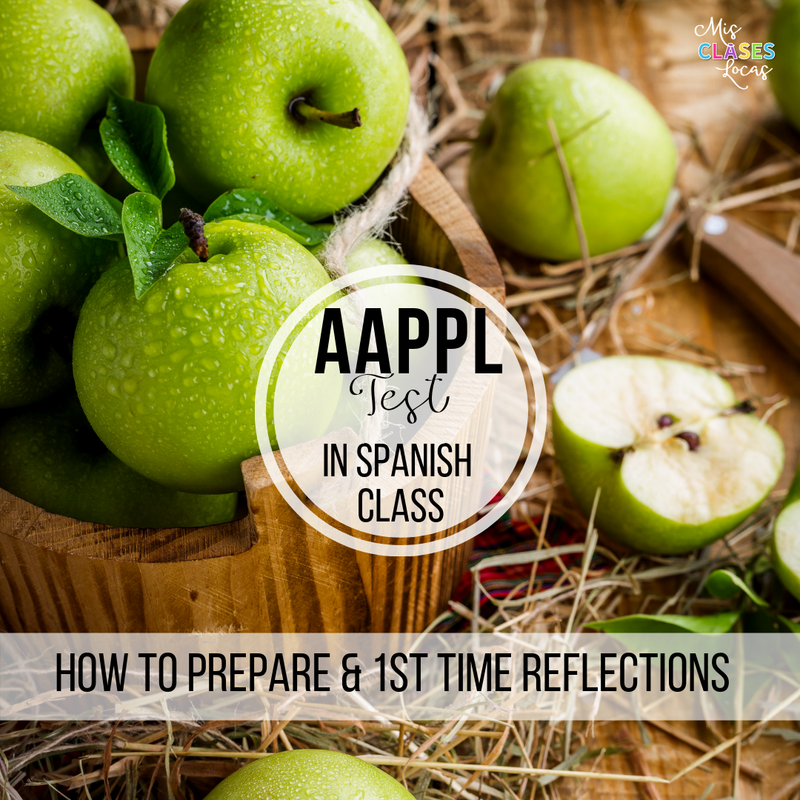 We started with just 3 basic expectations: use confused signal when they do not understand, respond when a question is asked, and respond appropriately as a class when a new detail is introduced (ooo, ahhh, ect). Last year I jumped straight into novels, and we kind of missed the story asking basics, so this year we are trying to take it a little slower. Also, last year as a newbie, I used to cling to the story outlines, poorly forcing stories in a certain direction. For our first try I really let the kids take the reigns in leading where it would go, while just trying to get in repetitions of our target structures (this is, a girl, a boy & calls him/her self). They Loved having control and really surprised me with their creativity and enthusiasm, even the quiet early morning class. I think the secret weapon that really helped was I got out a prop to start with, a cape. In both classes the enthusiastic boys embraced having a new identity with the help of their cape. 1st hour used the cape and came up with the story Jared el vampiro. I need to start having class jobs, but for that day once we finished we had a couple minutes left of class, so I asked everyone to write down as much as they could from our story, both for themselves and for me to remember what happened. I happen to have prep right after that class, so I quickly compiled a simplified version of their story into a typed document. We went a little too far out of what we have studied so far adding in descriptions, but since we used cognates, it stayed comprehensible. I then put it into a storyboard to use the next day as reading practice. You can download the storyboard here - Jared el vampiro. The other class decided that the caped muchacho was Batman and came up with an equally entertaining story Batman y Rachel. I created a storyboard for them as well. Feel free to use theses stories for emergency Spanish 1 sub plans! In this class we did not have any girl volunteers, but instead a boy who wanted to play the girl (who then got a wig, which actually completely made the story). Both classes flew through the storyboards the next day since they knew the story so well already. I also printed the other classes storyboards for extra practice, and so they could see what the other class came up with. Their reading confidence has gone through the roof! I am excited for more stories to come this year! I am now more than half way through my first week at the new school. Overall things are going great, but I though I would share some flops, tweaks, and hits from my 1st Week of Spanish Class - Daily Plans, Unit 1 & 1st Week Logistics. If you are told the morning of the 1st day of school that you need to facilitate one of your classes getting logged into a difficult system with a 20 digit individual code (*cough Infinite Campus), just say no. The biggest flop of the week was trying to throw kids into something with tech that I knew nothing about. My unpreparedness threw the class into unorganized chaos and kind of spoiled the 1st day of school magic for all of us. If it is not absolutely required and necessary, stay away from boring, confusing tech log ins on day one. The Instagram Photo Booth was kind of a flop day 1. No one wanted to be the one to start to use it! Granted I did not know these kids and they did not know me, so they may have been nervous and just wanted to go to their seats and feel safe and comfortable. I could tell there were many who wanted to use it, but wanted a friend to use it with them, so they were not putting themselves out there alone. Over the next 2 days it has gotten a lot more use and I think it will be a fun prop that will stay out most of the year. Lesson Learned: save the Photo Booth until later in the week. 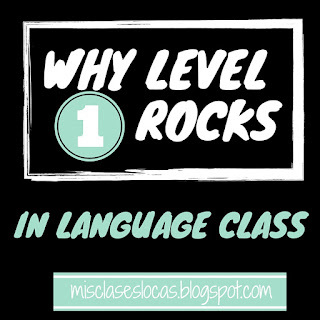 If I were to do the week over, I would have had Musicuentos Talk Talk (or sent it home to read with the Parent Newsletter& Syllabus) about proficiency before setting the kids loose on the Proficiency Puzzle learning to distinguish proficiency levels. 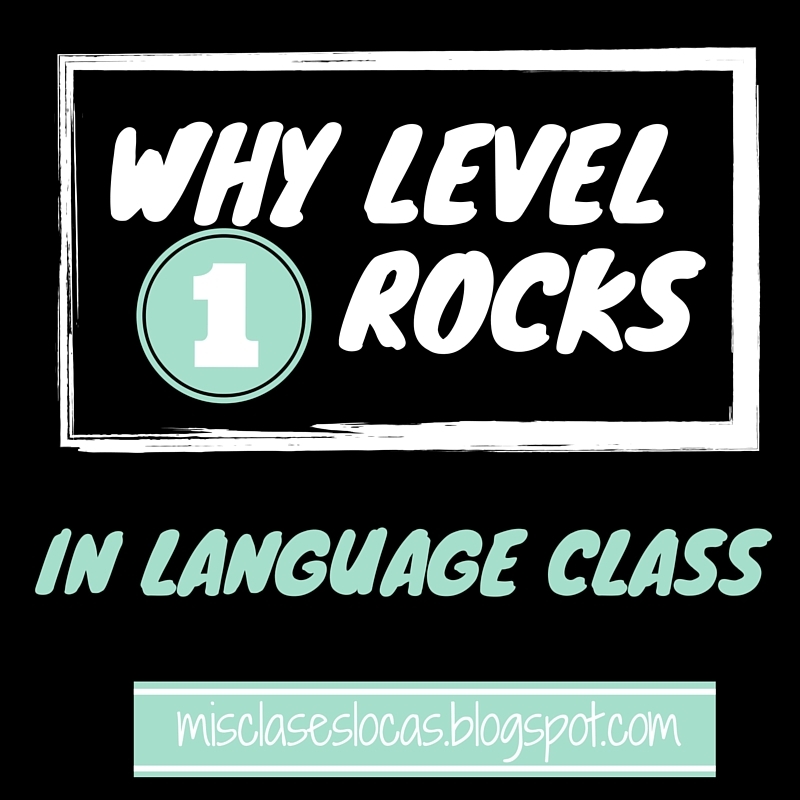 I had no idea coming in what the upper level student's exposure had been to the ideas of proficiency and performance, and did not realize we would all be starting from the ground up. Those who were more self motivated did great in pairs, but the ones who need more hand holding struggled and wanted to give up during the stations. Based on Rachel's great suggestion, I think later this week I will print out one per student, for them to then process on their own, and glue to keep in their binders as a resource. Lesson Learned: Give students more background on the terms before setting them loose on the Proficiency Puzzle. I tried to do a version of Ben Slavic's circling with balls and it just did not work as well as I had hoped. In the future I would have students move their chairs in a circle so there are less distractions being at grouped tables facing each other. With kids not used to circling, I should have set more expectations before beginning and created an environment better conducive to conversation. Lesson Learned: I need to set more expectations and the environment for successful personalized questions and circling. As always Name Game Speedball was a major hit with the freshman. They love having the chance to move around and compete with the other classes day 1. I also sneakily get to hear all names many times in a row as they try to beat their own or another classes' record. This is the reason for a Spanish 1 student leaving my class PUMPED and loving Spanish class. Lesson Learned: Name Game Speedball is a keeper & I need to continue to provide movement breaks for active classes. We had a student birthday on day 2 in level one, that I knew about because I had looked up and added all class birthdays for the month to the calendar. Seeing a student beam as they got serenaded with the newly learned happy birthday song in Spanish, just warmed my heart. It was also a great chance to build class community and learn a new song the first week. Lesson Learned: Never let a student birthday go by unnoticed. What were your flops, tweaks & hits as you started school?